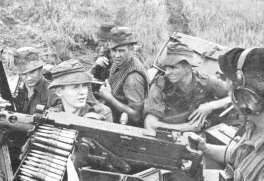 Operation DUCK was conducted in two phases; the first being from the 14th of December to the 23rd of December, 1966. The second phase started on the 27th of December, 1966, and finished on the 5th of January, 1967. 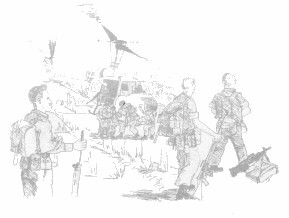 The Battalion had the task of securing the National Highway Route 15, from the town of Baria to the village of Phu My, within Phuoc Tuy Province. Route 15 is elevated from the surrounding country, which is mangrove swamps to the south and west and low scrub to the north and east melting into thick forest at the lower slopes of the hill masses of the Nui Dinh and Nui Thi Vai mountains. 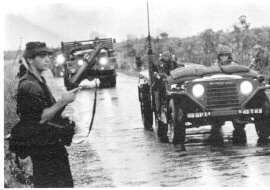 The safeguarding of the highway was to permit convoys of United States reinforcements and supplies to proceed from the port of Vung Tau, where they were disembarked to move via Route 15 to their newly established base at Bear Cat, north of Phu My. Each company was given an area to patrol in depth during the day to prevent the Viet Cong from sniping at the convoys, mining and booby trapping the road and destroying or mining the bridges and culverts along the route. There were in fact no incidents initiated by the Viet Cong during both periods. 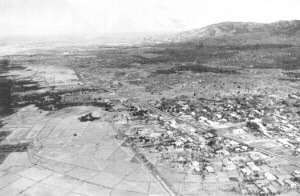 Situated along the highway were South Vietnamese Regional Force and Popular Force Posts, more often than not close to villages. The troops of these posts had in the past booby trapped the culverts with grenades; it was from such a booby trap that A Company sustained 5 wounded. The only contact was by C Company, on the 18th of December, with 2 Viet Cong. One of the enemy was wounded but both escaped. The direct support of the helicopters and the personnel carriers was, as always, invaluable in the conduct of these operations.